According to internal campaign emails read to the Post, a low-level foreign adviser to Donald Trump passed along multiple requests for him to meet with Russian officials, and even Russian President Vladimir Putin, during the 2016 campaign. 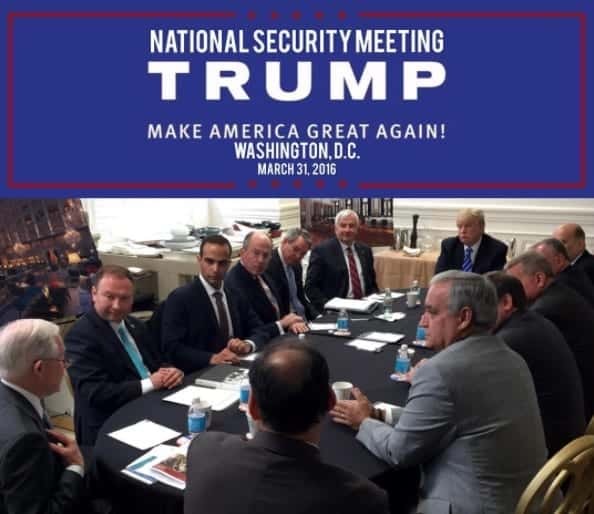 Here is what Trump tweeted and posted on Instagram that shows George Papadopoulos, third from left. This entry was posted on August 15th 2017 at 8:05am/08:05 and is filed under Elections, Law & Justice, Live News Column 1, Politics. You can follow any responses to this entry through the RSS 2.0 feed.